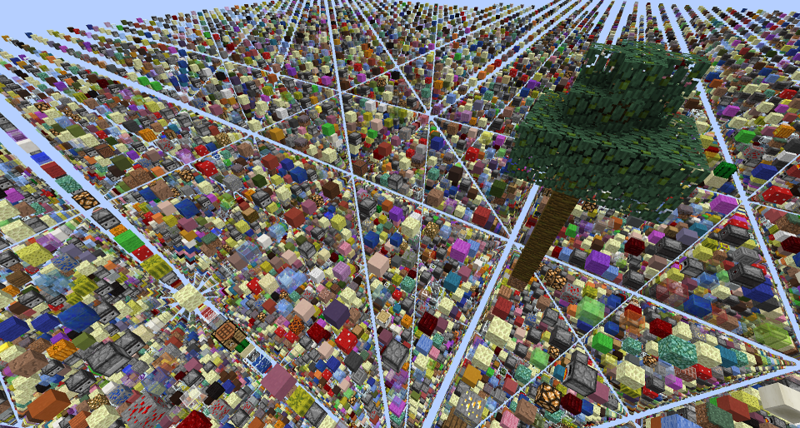 The grid is a world filled with random blocks in a grid-like pattern. You can risk your life to explore this world and collect rare items. This time, you cannot teleport out of the grid except from one of the safe bases. * You will drop your items if you die in the grid. * You cannot teleport out of the grid except from a safe base. Chests can contain xp books and trading cards. Mob spawners can be any possible entity, some are just very rare. Mob Spawner, Diamond Ore, Diamond Bock, Emerald Ore, Emerald Block, Gold Block, Melon Block, Cobweb, Chest, Enchantment Table and Shulker Box. 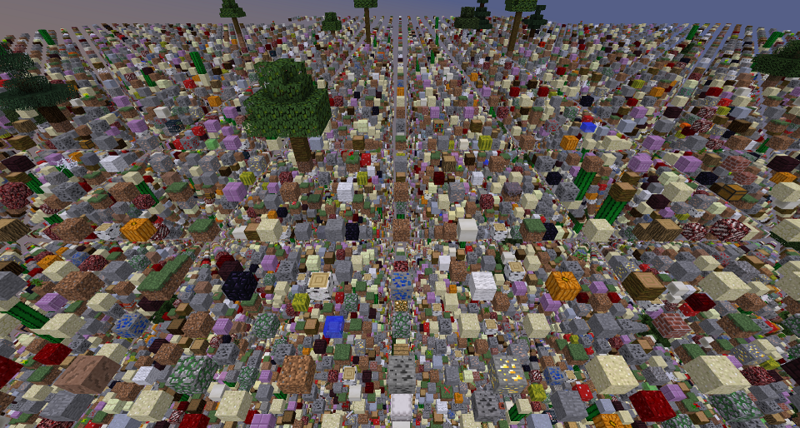 The Grid was looking dank so I spruced it up (no, not with logs from a taiga), it is now 164% more colourful. I also made the items inside chests a bit better, and shulker boxes have items in them too.